The CineMonitorHD6 SBL+ is a new version in the CineMonitorHD family with 2000 Nits brightness. 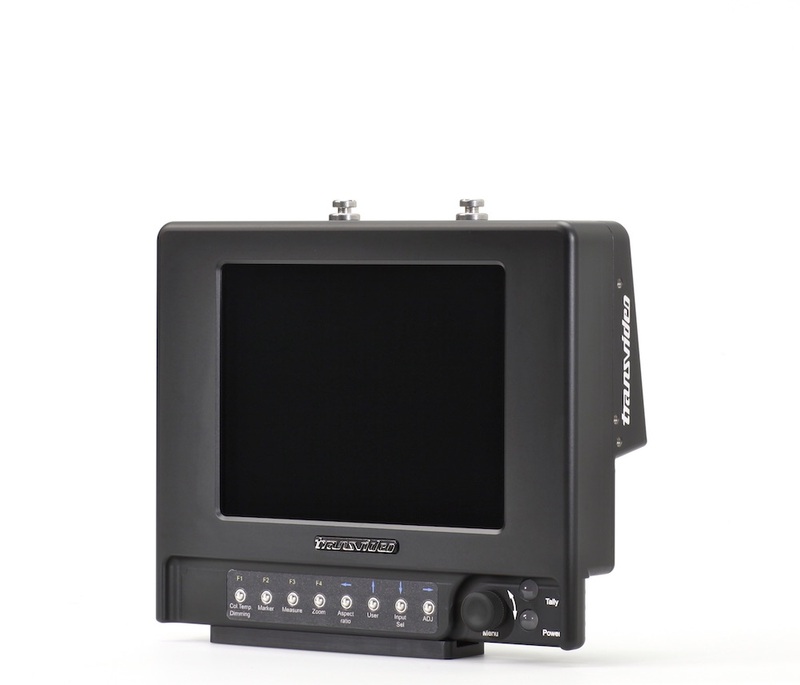 The CineMonitorHD6 SBL+ Evolution is a 6 inch SuperBright on-board monitor with a complete tools package. It is rugged and fully sealed (no holes, no noisy fans), with precision machined aluminium housing. It features a low reflexion screen outputing 2000Nits and high quality connectors. The 4:3 screen is partitioned in 2 areas: the picture zone displays the picture in 16/9 format whereas tools and measurements are displayed in the remaining free area of the screen. CineMonitorHD Evolution can be set in 2 operating modes either for outdoor viewing or color monitoring. In Full Bright mode, details in both the dark areas and highlights are maintained. Featuring Transvideo's proprietary technology with RealFrameRate processing (RFR™), the CineMonitorHD Evolution provides true monitoring of existing in-camera images with 1 -frame delay or less. Transvideo's processing technology displays crystal clear images without aliasing or motion-blurs. CineMonitorHD Evolution can be set in 2 operating modes either for outdoor viewing or color monitoring. In Full Bright mode, details in both the dark areas and highlights are maintained even in full sun without hood.